Spring is a great time to visit D.C. In April you'll have a chance to see one of the city's greatest attractions, the cherry blossoms blooming along the Tidal Basin. Alternatively, you can visit in September through November when the warmer is weather and the fall colors, offer a different kind of seasonal beauty. Summer can get steamy, making it less enjoyable to walk around but it's certainly is less crowded at this time. You can typically find very affordable, direct flights from any major airport. Reagan National airport (DCA) is closest to the Capital and is conveniently located on the Metro. Dulles International (IAD) and Baltimore/Washington (BWI) are a bit further out but offer less expensive flight options. There are a lot of cities North and South of D.C. that are accessible by Amtrak, and that's a great way to get into the city. Jen Martone is a New York born Twin Cities transplant who resides in South Minneapolis with her husband and two wonderful children. Jen is a triathlete, marathoner, fitness enthusiast, former Peace Corps Volunteer, weekend baker, coach, adrenaline junkie, and works full time at Mpls. St.Paul Magazine. 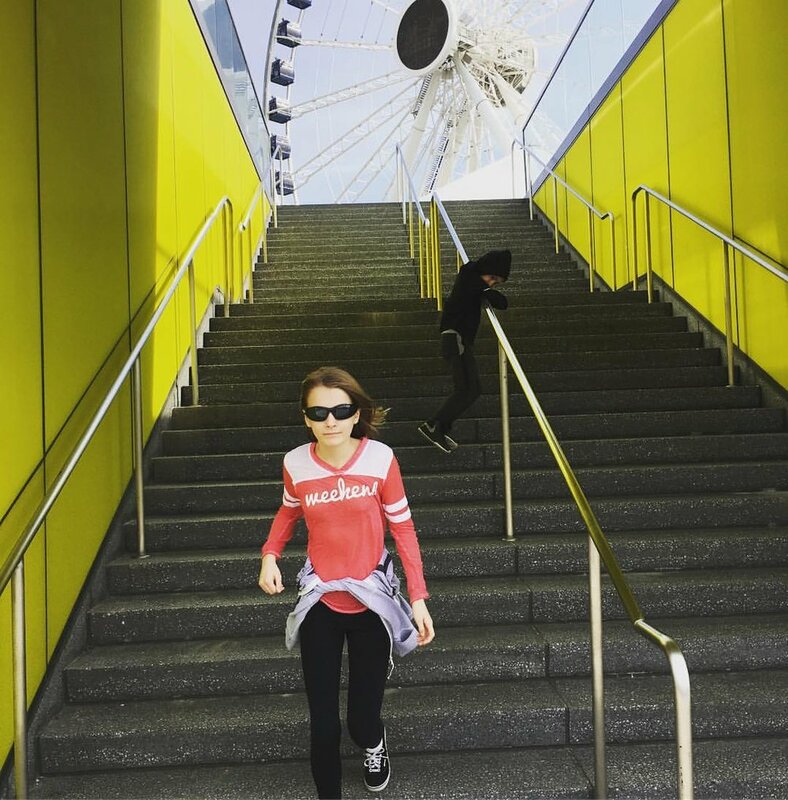 She travels often to explore new cities with her family and to participate in races around the country. I highly recommend staying in or around Georgetown and I found this Marriott to be super family friendly, with a terrific lobby. You won't need a car here as there's so much to see and do within walking distance, or via the public metro. Pack your spin shoes, there is Soul Cycle a block away ! If you want an equally family friendly option that's a bit more intimate, check out this 49 room, walkable Georgetown gem, with its rooftop infinity pool and convenient picturesque location. There is so much to do in D.C., and the kicker is, the majority of it is free! In fact, the National Park Service which oversees "The Mall" offers guided tours at no cost, led by knowledgeable Park Rangers and volunteers. Not only are they stationed at the main monuments and memorials thought out the day, they offer unique events. The National Mall is a pedestrian walkway that runs from the Capitol Building to the Lincoln Memorial. RTip: Consider taking a 3 hour bike tour of the National Monuments through Bike & Roll DC. Their guides are knowledgeable, the route is planned, and the experience unique. On our most recent visit we took in the Museum of Natural History, which includes dinosaur bones, the Hope Diamond, ancient Egyptian mummies, and many of the most famous artifacts in the world. Perfect for tweens and teens. Our family likes to walk, so we included this museum, one the landmark Smithsonian museums, on our National Mall tour. This museum is full of great aerial eye-candy and a fantastic collection of historic aircraft, including the Wright Brother's original flyer. The NASA exhibits are particularly interesting and there are some movie options, which are a welcome break from all the walking. If there's time, and your attention span is still there, I always enjoy the nearby American History Museum. It offers a fun peek at the gowns worn by several of The First Ladies, and Dorothy's infamous ruby slippers. Unfortunately, this is not a free museum but it was well worth the entrance fee to see their rotating exhibits, beginning in May you can see the Untold Story of the Titanic. If animals are your thing, then I HIGHLY recommend going here. It's an easy metro ride to the Woodley Park station. Yes, this one is FREE. You'll find lions, apes, pandas eating bamboo, and elephants, and you'll be amazed at how high your fitbit step counter flies as you explore the exhibits. We started our day at Bread & Chocolate's West End location, they serve a German pancake similar to a crepe that my 10-year old adored. Their menu includes a banana fosters french toast that was a hit with my daughter, and I branched out and ordered an Israeli dish called Shashuka, a tomato, onion, garlic, and poached egg dish that veered from my normal breakfast routine, savory and delicious. This restaurant at the top of the Kennedy Center serves an amazing "behind the scenes" Kitchen Brunch every Sunday (I worked as a hostess here for almost 2 years). You actually walk into the kitchen to load up on prime rib, gourmet salads, omelets, scones and more. As the name suggests, it's located on the top floor, and offers a great panoramic view, and is next door to the Watergate building. Take a ride on the Metro or grab an Uber to Adams Morgan, a very eclectic neighborhood that is relatively chain free. It is a walkable area, with bookstores, and vintage indie boutiques. Terrific people watching and window shopping. I love this charming book store. It's a great spot to buy a book for your return flight. RTip: While in Adams Morgan, check out the coffee shop and wine bar,Tryst and restaurants like, Tail Up Goat (Pictured above) or 2 Amy's for pizza. As a professional home organizer and young mom (delivering her 2nd baby last Friday) Erin understands the impact of chaos. While she appreciates a tidy house and loves to check things off her to-do list, she also understands a peaceful and organized home means something different to everyone. Erin has built a business to ensure your home can be your sanctuary at the end of your workday or your next vacation adventure. 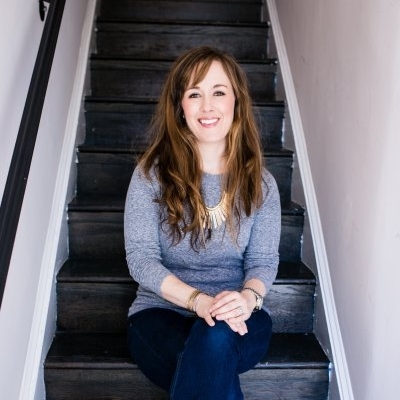 She lives in the capital beltway just outside Washington DC and you can find her home management tips at Erin Barbot & Co and on Instagram. The Line DC Hotel / additional benefits with Mr. & Mrs. Smith reservations. Most out-of -towners stay with us, but I like vibe in Adams Morgan, where you can find ton of lively new restaurants. Here, I would suggest The Line, housed in a 150 year old church, it's DC inspired an affordable. If you want a more family friendly hotel, The Watergate offers all kinds of connecting rooms and suite options. 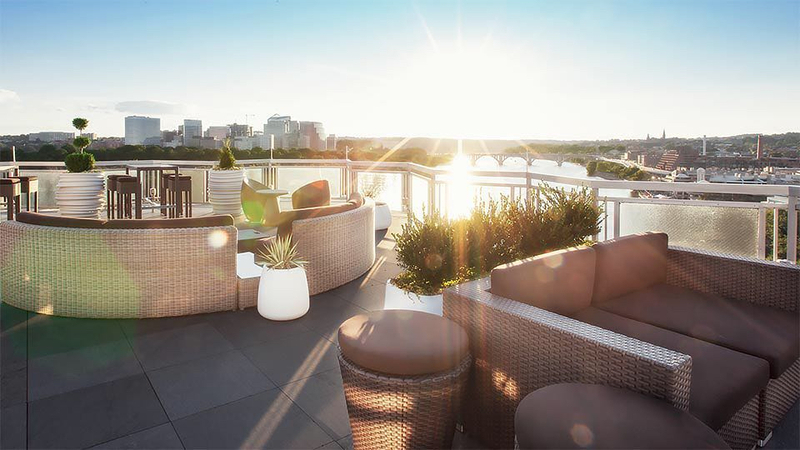 Plus, the expansive rooftop bar overlooking the Potomac and DC skyline is amazing. This museum, while not free, is so incredibly cool! Great for kids, and one of the suggestions I make to all my guests. This not to miss museum, offers interactive spy adventures and authentic espionage exhibits. Of all the museums in D.C., this is my favorite. The actual building is so interesting and they always have a world class collection of thoughtful and unique art. If you go next door, the cafe at The Native American Museum serves indigenous cuisine of the Americas and they have wine. 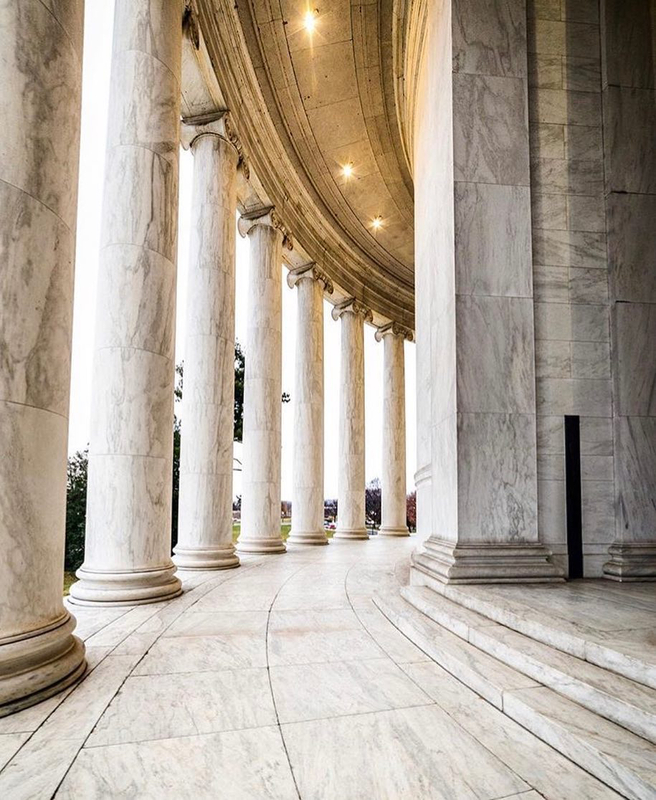 Most people don't realize you can visit these iconic government buildings. If you decide to take a tour, you must submit a request 21 days in advance through your member of congress, you can find yours here. A visit to Arlington Cemetery will prove both powerful and moving, but plan for this taking most of the day. It puts our freedom and rights into perspective and it's important to spend several hours at this memorial. While the tram tour is convenient and allows you to customize your visit, you can also see the cemetery on foot. 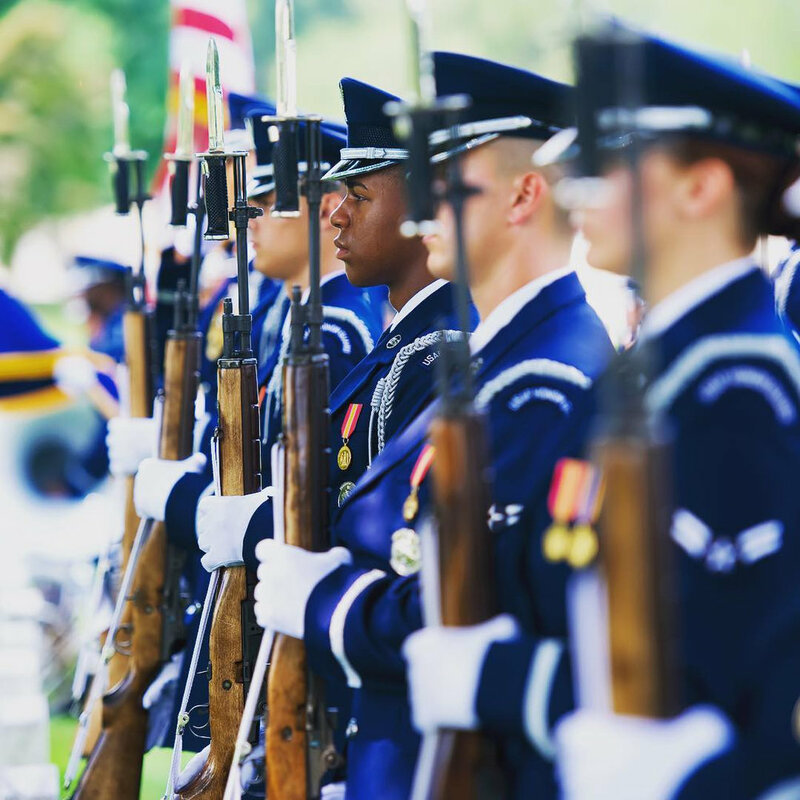 Be sure to take time to watch the changing of the guard and the 21-gun salute at the The Tomb The Unknowns. RTip: Grab a map at the visitor center and download the ANC explorer app to your phone, which allows you to locate grave sites, events or other points of interest throughout the cemetery. 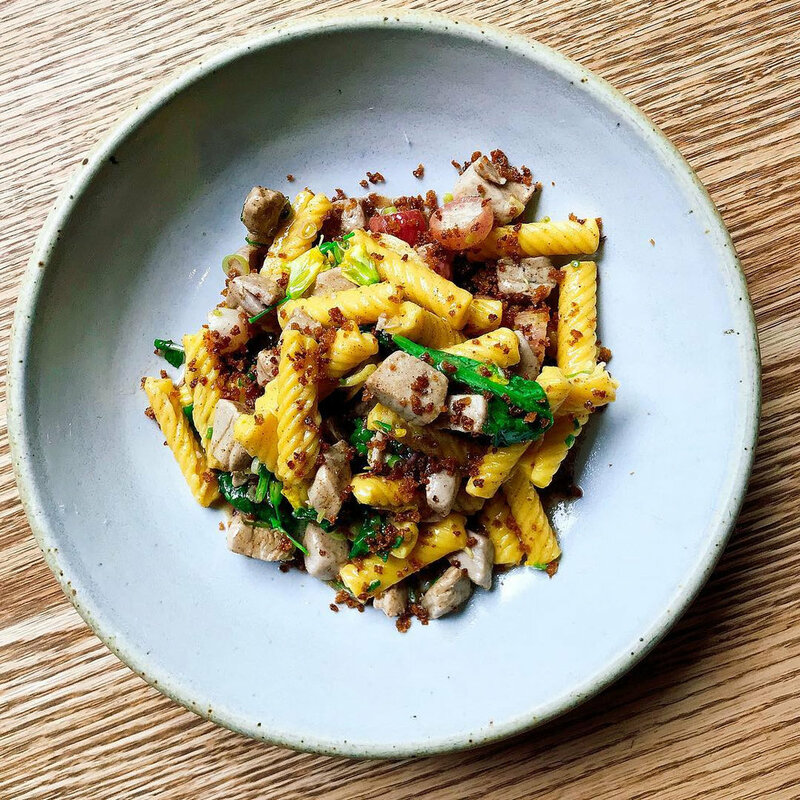 We are currently loving (a bit addicted) to the delicious ramen at Chaplin's and Toki Underground which is also in the H street neighborhood which is an edgy up-and-coming area with great bars and restaurants. This is a tiny little spot so it can be hard to get in to, but it has delicious Thai food. If you want something a little fancier, that allows reservations, check out their sister restaurant Komi next door. Serving Mediterranean food in an equally quaint setting you're bound to go home full and happy. This adorable cafe near Dupont Circle offers delicious classic French favorites and has a wonderful outdoor patio. Check out their weekend brunch, but be sure to make a reservation. RSommSays: Before heading to Le Diplomate stop at The Dabney nearby. They have a serious wine list. Start with BÉRÊCHE & FILS Brut Réserve, a small grower Champagne and then see where the afternoon takes you. If you are more into cocktails, next door you’ll find the The Columbia Room with it’s craft cocktail tasting menu, you can’t go wrong there either. Walkable from downtown and a nationwide chain, Kendra Scott in Georgetown always has fun, on-trend jewelry at all price points. Classic, easy to wear unique women's apparel Tuckernuck also offers mens, gift and home items. The TNuck flagship store in Georgetown is incredible. I love to shop at Salt & Sundry in Union Market for a pretty selection of gifts and home goods. If you visit the Logan Circle location, Ice Cream Jubilee is a delightful neighborhood treasure. You can make a full trip out of this, as Union Market has tons of delicious places to eat and drink. You can shop for vegetables, cheese, freshly baked bread, and butcher’s cuts of meat in this amazing food hall. They even offer outdoor movies in the Summer. The traditional gift from D.C. is an FBI hat, which you can find on any street corner near the National Mall. The official Presidential pen is the Cross Townsend, used by the last three Presidents. This cute bag is available online from Salt & Sundry, a small and local boutique in D.C. and an umbrella is never a bad idea. 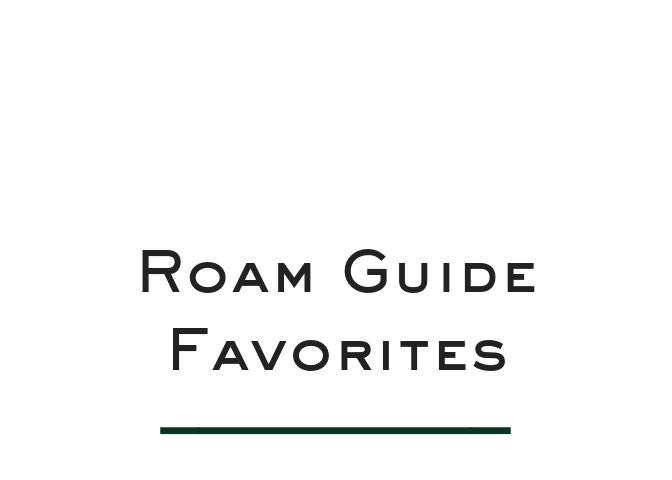 For two more perspectives, check out our latest guide, Roam Again in D.C.
Click our link here to see everywhere we recommend you visit in Washington D.C.
Want more of the East Coast? Roam 2 Ways / Washington D.C.
What are we missing? Tell us your D.C favorites. A conversation with a trusted traveler sharing personal recommendations from a well-loved trip.